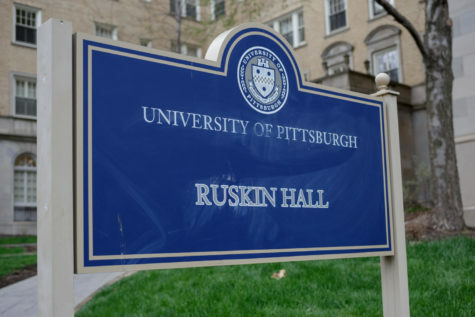 Ruskin Hall is Pitt’s first on-campus, gender-neutral housing option. 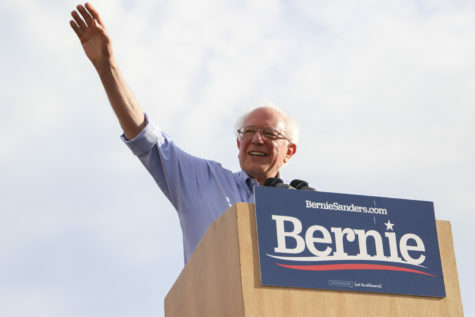 But if you walk down the gray carpets of the apartment-style living facility and knock on a few doors, you’re likely to find someone living there who has no idea. 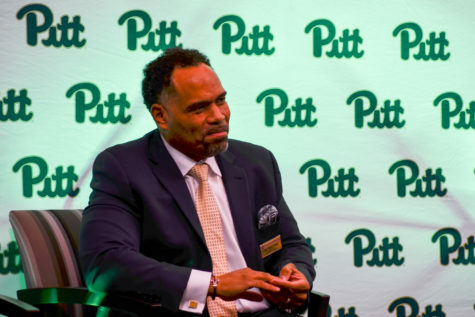 The University informed The Pitt News last year that Ruskin would become gender-neutral — meaning apartments can be shared by people regardless of the gender they identify with and whether they identify with a gender at all — during an interview about a lawsuit settlement. The hall largely contains students who did not check off the gender-neutral-preferred option on their housing forms, but 34 out of 416 students living there did. Thirteen of the hall’s apartments are now occupied by students who specifically selected a gender-neutral option. Sophomore Maggie Crotty, who lives in Ruskin and is gender-nonconforming, said they chose the dorm because they were looking for a more secure, inclusive environment than on-campus housing from the year prior. Pitt joins more than 150 universities and colleges that offer gender-neutral housing nationwide, according to the Human Rights Campaign. Locally, Carnegie Mellon University offers gender-neutral housing in six upperclassmen apartments, according to its website. Point Park University housing contracts include an option where students can select their gender identity, and the University will also work with students individually to address housing concerns, according to the housing page on its website. Since announcing Ruskin’s gender-neutral option, Pitt spokesperson John Fedele said information on gender-neutral housing was distributed in the housing booklet and that it is featured prominently on Pitt’s Panther Central housing process page. There has not been any advertising from Pitt about Ruskin beyond those features. 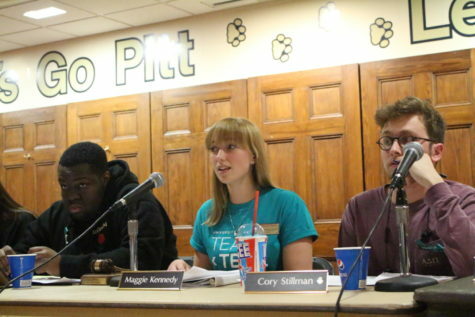 Some students living in Ruskin expressed concern over the lack of promotion Pitt has put into the change. They see the new housing option less as a significant step and more as a jumping-off point for future moves toward gender inclusivity on campus. Pitt’s informal announcement about Ruskin came amidst a continuing nationwide debate about bathroom policies for transgender and non cisgender people. The University said in the fall of 2015 that students were allowed to use the bathroom of any gender they identify with, regardless of what appears on their birth certificate. 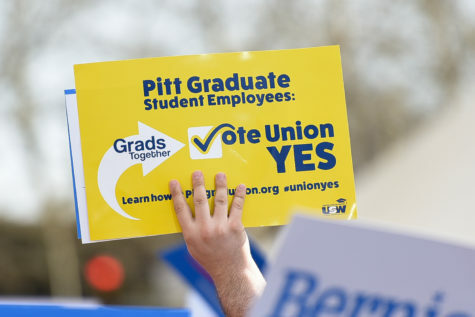 The change was University-wide, making the practice affective on Pitt’s branch campuses as well. 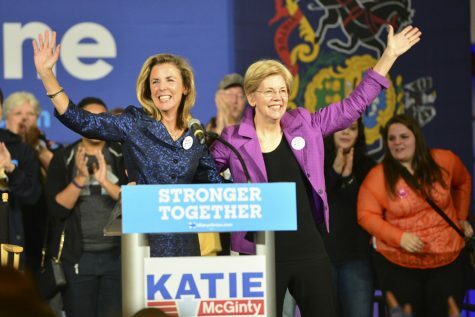 But Pitt’s history dealing with transgender rights has been rocky, and has not always ruled in favor of non cisgender students. 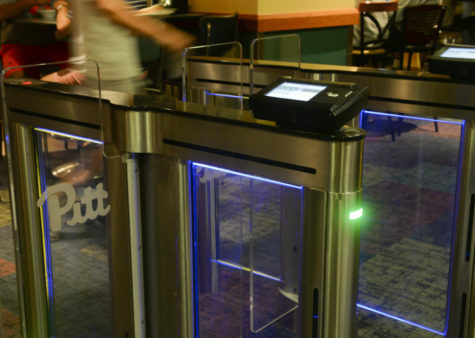 Former Pitt student Seamus Johnston, a transgender man, was expelled from the University’s Johnstown campus in 2012 for using a locker room that didn’t match his University “gender status.” Johnston filed a lawsuit against Pitt, which the University settled on in 2013. When Pitt announced the settlement, it also announced that it would form a working group of students, faculty and staff to create a set of best practices for transgender individuals. 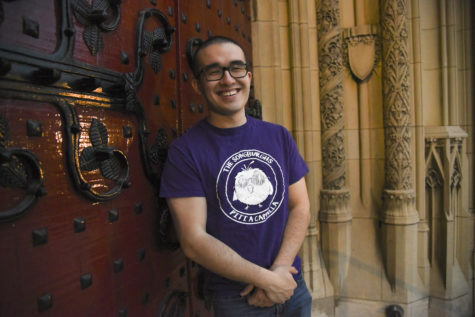 Pitt has since begun to provide coverage for faculty and staff members’ transgender-related healthcare services, such as behavioral health support, hormone medications and gender reassignment surgery. Crotty said overall, they’re proud of the way Pitt has moved the needle on gender inclusivity. Sophomore Shayla Goller’s apartment is like any other on campus — dishes sit in the sink, succulents and plants line the windowsill behind her seat on the couch. 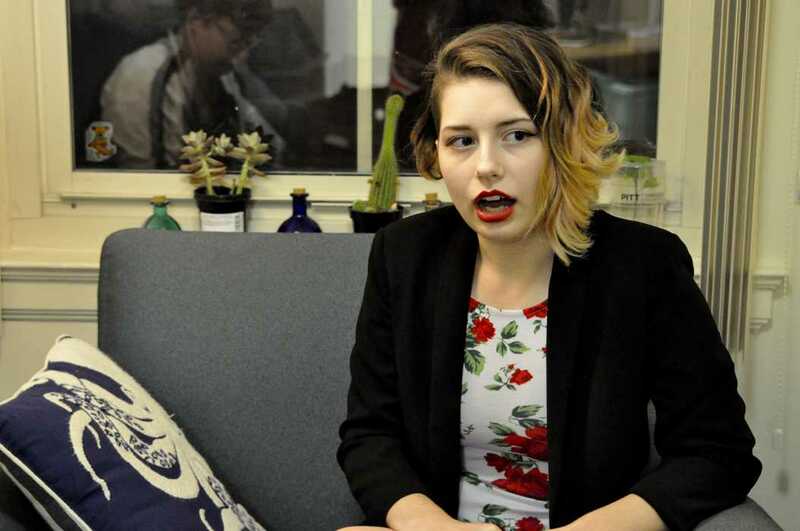 Her roommates all identify as women as well, but Goller said just knowing that Pitt would allow her the option to choose otherwise makes her proud. Goller found out about the gender neutral option through her involvement with the LGBTQ+ organization Rainbow Alliance. The group’s Vice President Sara Yablonski said along with on campus organizations, the press was useful in spreading the word about Ruskin. Sophomore Hanna Brubaker was just looking around the Pitt housing website when she found the gender-neutral selection option. She moved into Ruskin this year with a friend of her’s who is a cisgender man. “To be honest, it was more that we both wanted to live in Ruskin, like we chose the dorm, then we were like ‘oh, look at this,’” Brubaker, a chemistry major, said. Cisgender students who just want to live with a friend or are in a relationship — as was the case with one couple who moved into Ruskin at the start of this year — are allowed to select Ruskin’s gender neutral option, Fedele said. 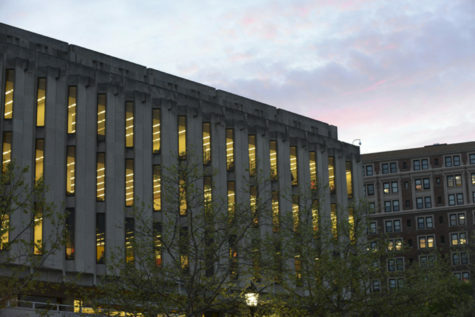 Students interested in gender-neutral housing participated in Pitt’s usual suite selection process, according to Fedele, and those students who won a bid overall for apartments and suites in Ruskin Hall based on their request for gender-neutral housing. Of Pitt’s other on campus, apartment style living options, only single apartments in Bouquet Gardens — which cost $4,300 — reach the least expensive option at Ruskin, which is $4,100. 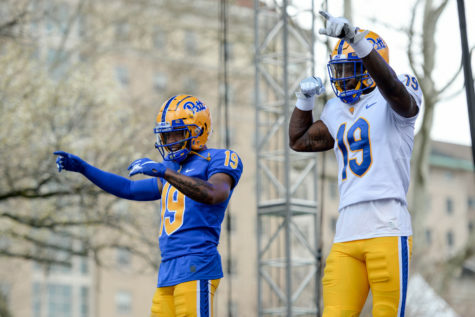 In response to the price tag, Fedele said Pitt will consider offering gender-neutral housing in other on-campus housing options for next year.